The map to the restaurants at Sapporo is set here. Please download. This will be delivered also at the registration desk to the accompaying persons. All accompanying persons are invited to two events operating in series. Please be aware that the lunch box is not delivered to the accompanying persons. Alternatively Soba tasiting and Fruit dessert basket will be served. Two assistants (girls) will accompany and enjoy together. 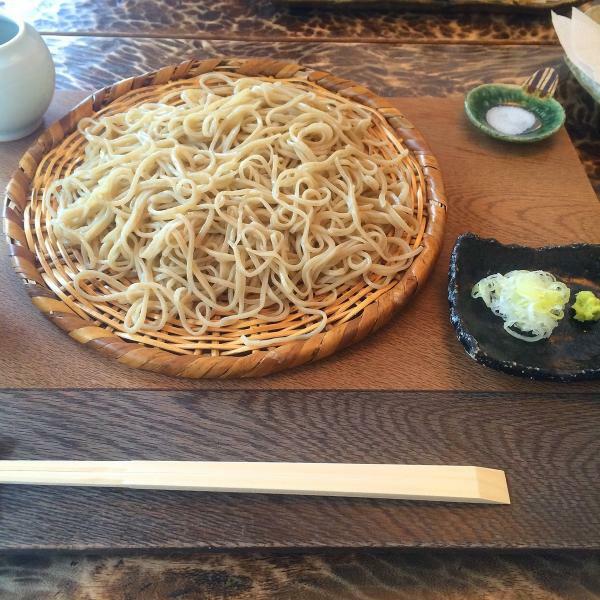 "Soba" is one of typical Japanese nuddles in addition to "Udon". Hokkaido is famous for Soba (Buck wheat) production grown in the rude fields. Green plant produces Soba as the berry. The dried fruit is grinded to the Soba powder and preserved. Soba powder is mixed and kneaded with a small amount of water to the douge, rolled to the sheet by the wooden stick and cut into the nuddle. The nuddle is heated in the boiled water, and cooled by ice water as you will. Fresh "Wasabi" (green horseradish paste) and Soy sourse soup match with Soba nuddle in top summer. Please find the simularity with titanium plate forming. The powderous titanium will be compacted and rolled with iron roll mills intermitted heating for softening. The final surface treatment of titanium metal sheet is important to increase the market value. 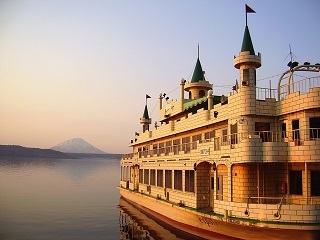 The conference bus departs from the hotel front of "Hotel Manseikaku Lakeside Terrace" at 9:00. The persons who did not register but wish to attend this event can show their desire to the secretariat by the day before, because of sufficient space. 3,500JPY. After tasting, the bus will come back to the harbor of Lake Toya, and all the attendents are invited to the boat at 12:00. The crusing around 4 islands will be enjoyed with special fruit deserts. The anouncement in 4 languages is supported. The boat will come back by 13:30. All the accompanyed persons will be picked up by the conference bus. The sudden participation to this crusing costs 3,500 JPY. Please make booking at the registration desk at Sapporo in order to prepare the fruit. Three courses from the commercial programs operated by Chuo-Kotsu Co. Ltd. are taken as the accompanied program. The committee recommends to take part in three optional tours to find the national beauty and human activities of Hokkaido. The secretariat will not control the participation in the courses, and please register directly at the online-registration individually. All the tours will start at the bus-terminal locating at the south-eastern exit of JR Sapporo railway station. Hokkaido Chuo-Kotsu Co. Ltd. will serve the multi-languages apparatus (English, Chinese, Korean, French and German) to guide you in the tourist bus. Note that not all the course utilize the language services. Because many tourists will use this tour bus to go around the city, the reservation is mandatry. The personal researvation is available at On-LineReservation form from the bus company, Hokkaido Chuo-Kotsu Co. Ltd. All the courses are garantteed for operation even if only one passenger have booked. 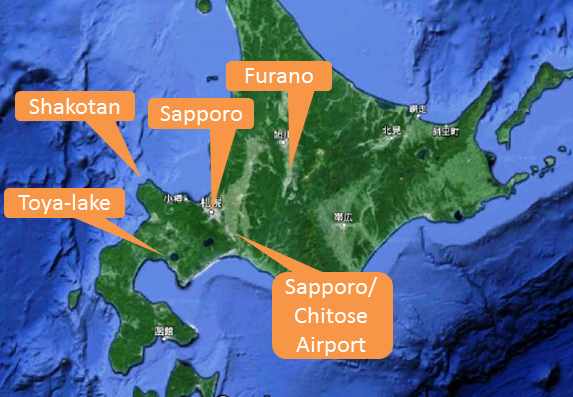 The population of Sapporo city is about 1900,000, 1/3 of that in Hokkaido. This large city was opened in Meiji era (about 150 years ago) from the wild forest. 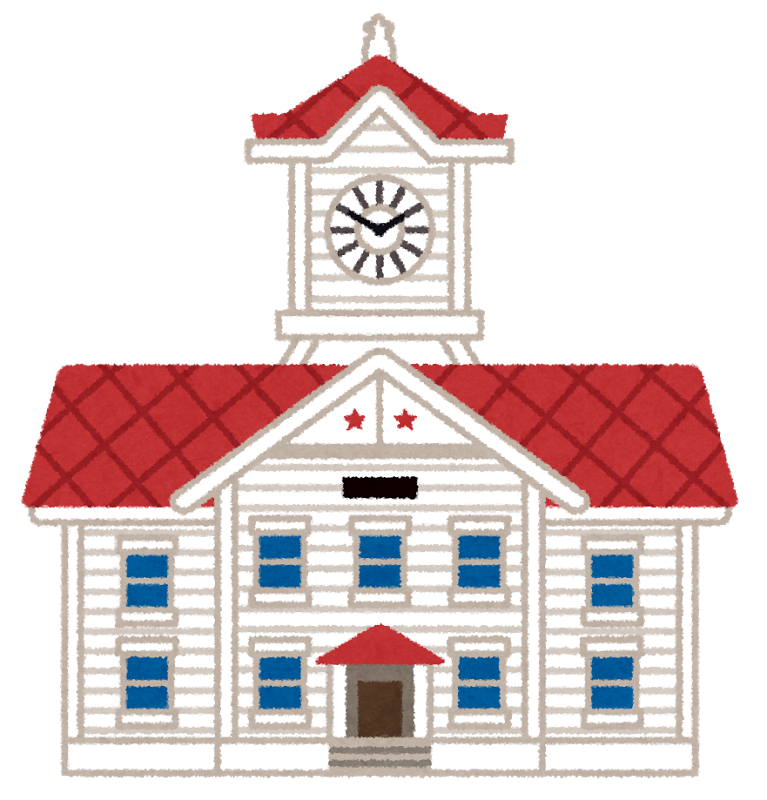 One of the histrorical momument is a athete practice house of that Hokkaido University built at these days. It has four clocks at the center roof, and is researved at the central part of the city, called as "Clock Tour" (Tokei-Dai). The tour bus will pass by Clock Tour. Then the bus circulates the Odori-park, broadcasting tour ("Telebi-Tou", 147m high, painted in red), and the bus introduces you to a hill, Okura-yama, where the Olympic large hill competition was fighted. Still this winter the jumping competitions for world cup competition were held. From the top of ski-lift you enjoy the wonderful scenary of the city even in summer. At the lower part of jumping area, a sport musium for winter games waits for your visit. In the musium you may experience the sportmanship for yourself. Finally the bus drives to Hitsujigaoka Observation Hill, where the the monument of Americal professor, Willim Smith Clark, stands. He was employed by the Japanese gornment to introduce the western agriculture in Japan as the teacher of Hokkaido university, and left famous message, "Boys, be ambious!". and he talked to the student as "Be ambitious not for money or for selfish aggrandizement, not for that evanescent thing which men call fame. Be ambitious for the attainment of all that a man ought to be." However, it is a pity that all the journior high school students in Japan learns only first three words in their textbook. The foot bath is available between May and September. In summer the city of Sapporo laid out beyond the green grassy fields is beautiful, and it makes for a great photo opportunity. This half day tour is operating in the every morning and afternoon in all the summer days. Please take care to select your correct option because many simular courses are listed in the On-LineReservation form. Sapporo Station Bus Terminal: Dep. 8:50 Arr. 12:20, total 3hour 30min. 2) [Sapporo Afternoon Tour, B] Mt. Okura and Hitsujigaoka Observation Hill Tour (Multilingual Audio Tour)(April 1st to November 30th) Sapporo Station Bus Terminal: Dep. 14:10 Arr. 17:40, total 3hour 30min. Full day tour at Furano : the chairman' recommendation. 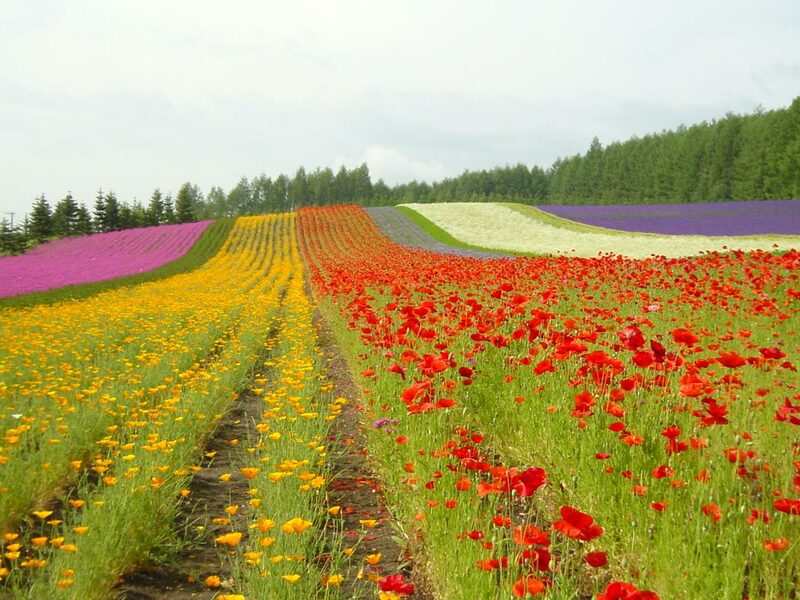 Several beautiful flower gardens matches well with the national beauty at the central part of Hokkaido. Although Furano and Biei are far from Sapporo in 3-hours distance, its color contrast looks a fine peace of pictures. Many nice spots for photography will be guided. (P-1)Farm Tomita, Blue Pond and Biei Tour (Excluding Multilingual Audio System) from various options. Blue pond is recently noticed as a beutiful spot in the world, and its photo was taken as the opening page of the calendar of Mac. Dep. 8:20, Arr. 18:50; Adult 7,200JPY, Child 4,800JPY. Full day tour Shakotan : the chairman' recommendation. 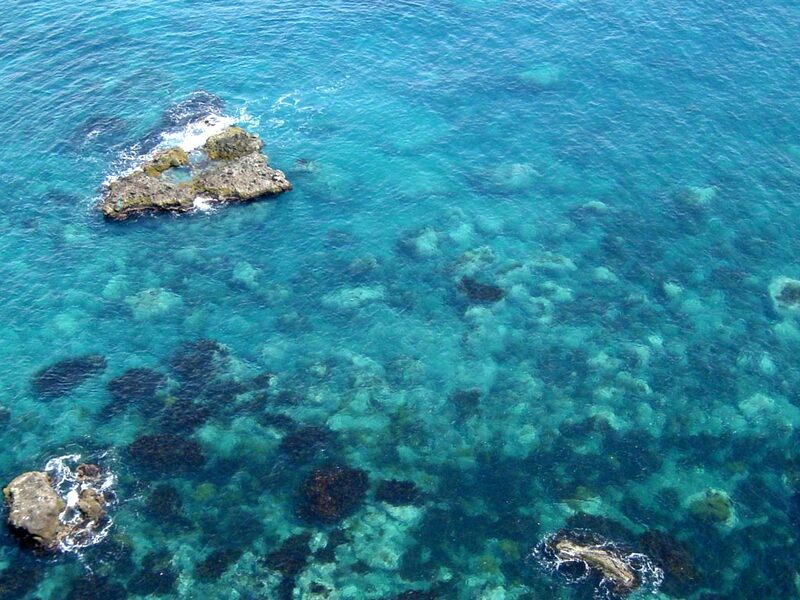 Shakotan area is surrounded with the sea whose misterious color is called as Shakotan-blue. Clear and transparent sea water reflects the clear sky. 2.5 hour bus trip to the cape of Shakotan will makes you happy and healthy when you walk on the sky-lines of cape. The ocean view and clear mountain view will be enjoyed at the top of cape (for about 20 min walk). The information in March says they will NOT offer the multi-language service this season. Please select (L-2)Scenic Cape Shakotan Tour (Excluding Multilingual Audio System) from various options. Dep. 8:30, Arr. 18:50; Adult 7,900JPY, Child 5,450JPY. By 15 min. before bus departure, all the passengers should buy the tickets individually at the counter, which is indicated at the link, Get Together here. Bus terminal building "ESTA", 2F. At the strating time you will be called to ride on the bus, which departs from 1F of the building. If you need the visa, please contact to the chairman for invitation letter. Email to rsuzuki[@]eng.hokudai.ac.jp. The cancel fee is 100JPY before 2 hours of departure, and no refund after it.